But your best friend is still your best friend. Even from half a world away. Distance can’t sever that connection. Best friends are the kind of people who can survive anything. 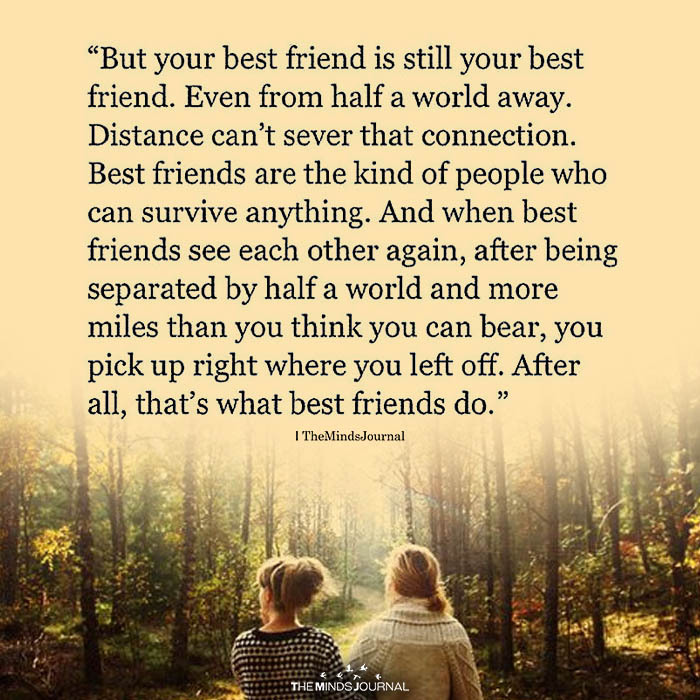 And when best friends see each other again, after being separated by half a world and more miles than you think you can bear, you pick up right where you left off. After all, that’s what best friends do.